It was 2nd June in 1966, when NASA sent the Surveyor 1 robotic craft to moon and succeeded in a soft landing. This was a great achievement for United States of America in specific and in general the nations who shared some enthusiasm in space exploration. It was 2nd June in 1966, when NASA sent the Surveyor 1 robotic craft to moon and succeeded in a soft landing. This was a great achievement for United States of America in specific and in general the nations who shared some enthusiasm in space exploration. This was the second successful lunar landing and later it proved to be a key milestone in putting man on the surface on moon just 2 years later. Earlier, Russia had successfully landed Soviet Luna 9 on the surface of the moon, which was the first ever successful lunar landing by any moon exploration program. NASA file image shows Buzz Aldrin on the moon next to the Lunar Module Eagle…This NASA file image shows Apollo 11 U.S. astronaut Buzz Aldrin standing on the Moon, next to the Lunar Module “Eagle” (R), July 20, 1969. Apollo 11 was launched forty years ago today on July 16, 1969, and carried astronauts Neil Armstrong, who was the Mission Commander and the first man to step on the Moon, Aldrin, who was the Lunar Module Pilot, and Michael Collins, who was the Command Module pilot. Armstrong took this photograph. Images captured by the Surveyor 1 during this mission were studied rigorously for 2 years. 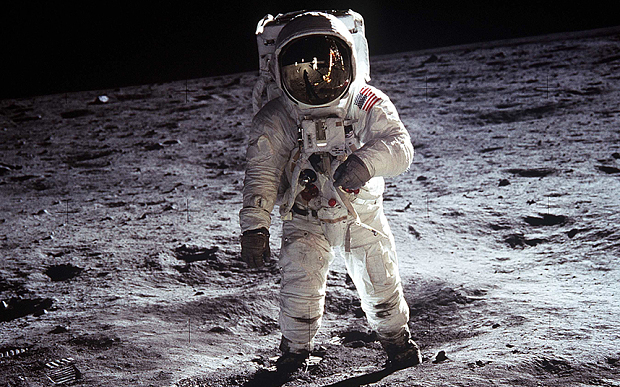 In 1969, NASA sent the their finest astronauts on moon mission and succeeded in landing on the lunar surface. In the past 5 decades, man has not stepped on the moon again.